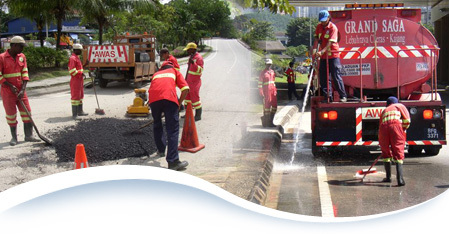 Road maintenance is an integral part of Grand Saga's work and is vital in ensuring road safety and customer satisfaction. Regular and appropriate maintenance works are vital to help preserve road functions and its structural integrity. A proper maintenance, inspection and reporting system will ensure effective highway management in regards to future planning, manpower and budgeting. At Grand Saga, we have a team of qualified maintenance personnel who are always at hand to ensure that the highway is well maintained for the safety, convenience and comfort of highway users. Regular maintenance and upgrading works are conducted on the toll equipment, the highway infrastructure as well as the facilities and amenities surrounding it. This includes related civil, mechanical and electrical works.